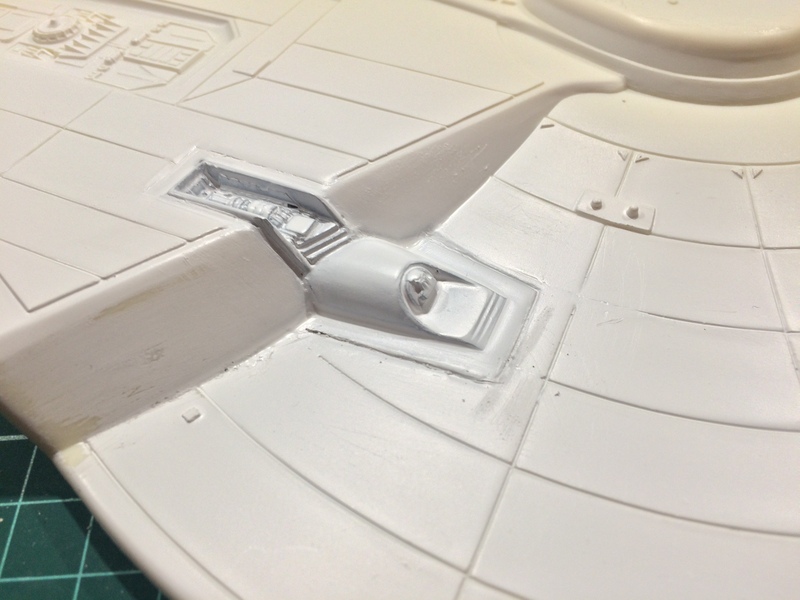 So after a week or so (and after having parked the nacelles for now ... more on that later! ), I’ve made a fair bit of progress with the DSML sensors. 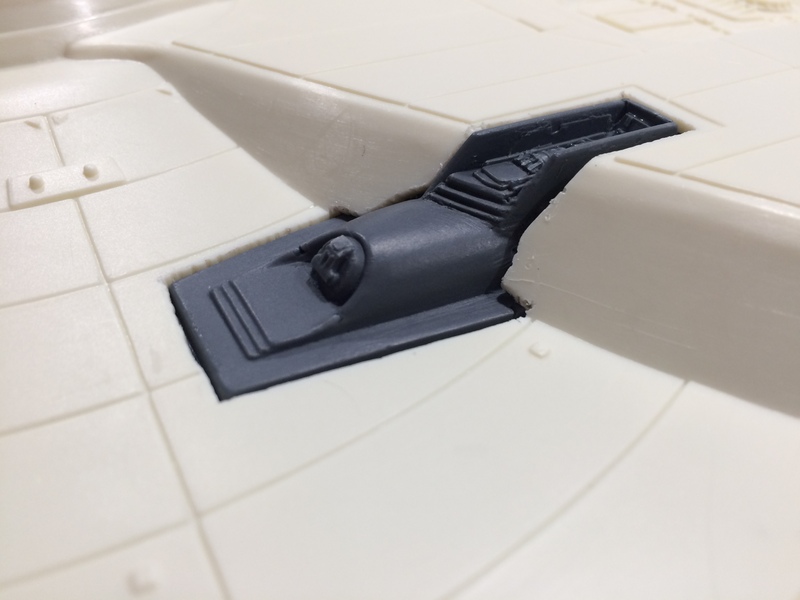 The kit ones are poorly detailed, as well as being raised too high on the surface of the hull (the bottom parts of them should be flush with the surface of the saucer), so they’ve got to go, and be replaced with the resin ones from Federation Models. Hey presto, job done. 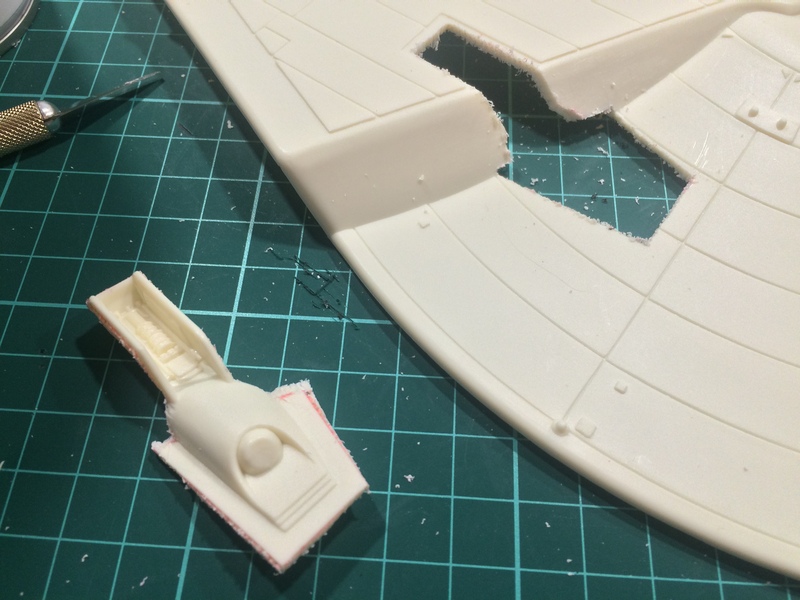 Now, the downside was that I did over-cut a bit, in that there were pretty sizeable gaps all around the new parts. In any case, I figured I’d deal with that when I got to it. First, though, I had to glue the parts in. 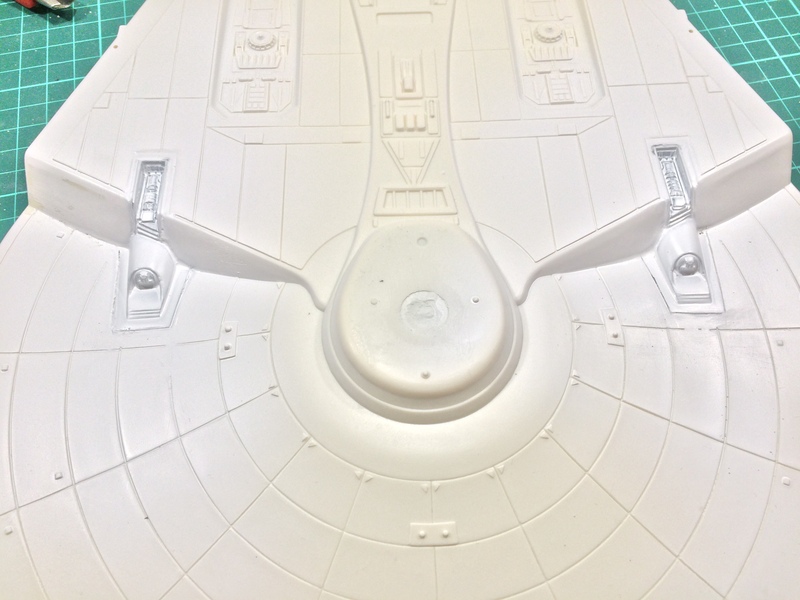 The starboard one went on fine, but this kit being what it is, there’s a fair bit of warping. 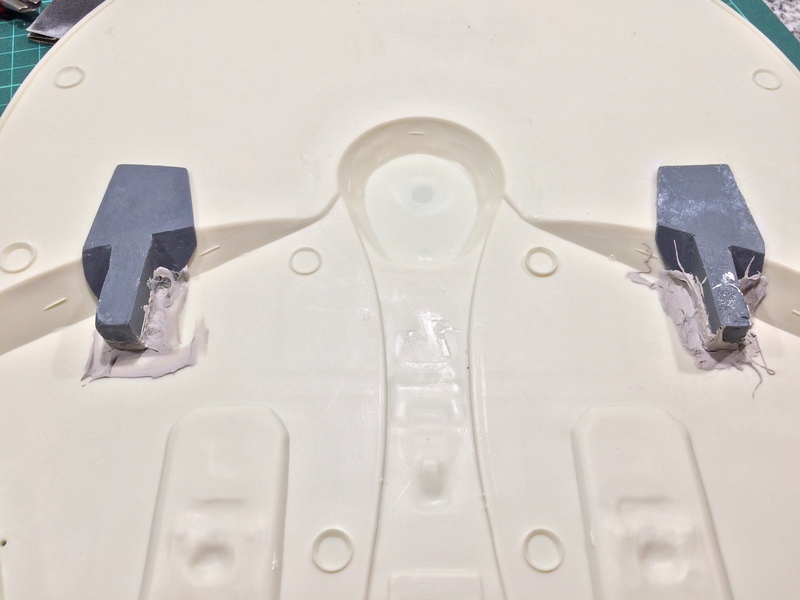 As a result, I had to try three times with the port sensor, before the CA glue finally worked its magic. Overall, I’m pleased. 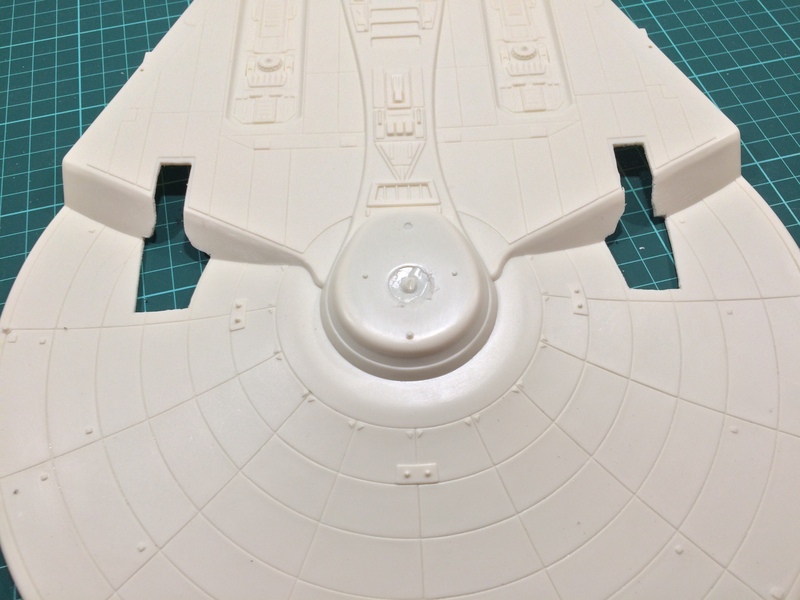 There are still a few pits, dips, and uneven bits to deal with, especially on the port side, but that’s no problem. 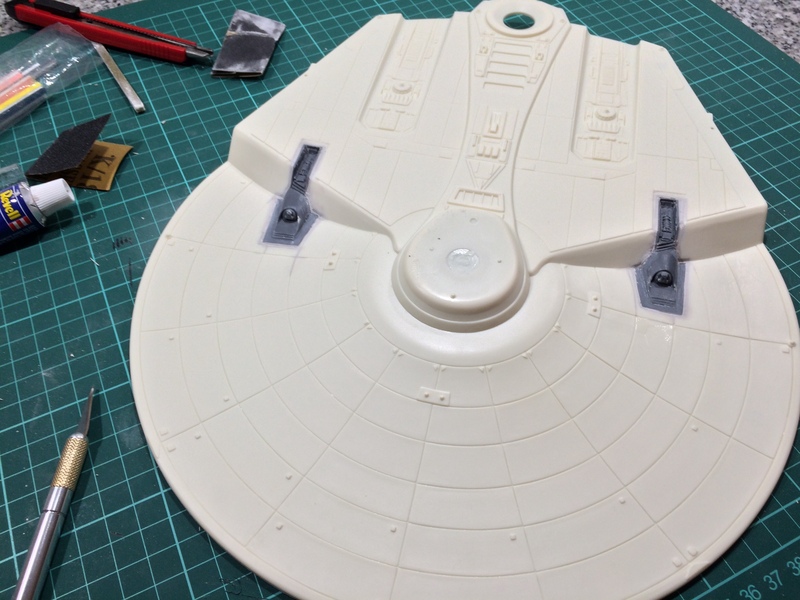 After that, it’s a question of tidying up/re-scribing the panel lines along the contour of the part on the saucer’s surface, and building up the walls of the sensors’ trenches a bit, as they should protrude a bit higher. I’ll use some styrene strips for that job. So that’s that. Once those last few details are done, I can tick the DSML sensors off the to-do list. So, as I mentioned in the Construction section of the forum, I came across something called Carson Paint Killer at my local hobby shop this afternoon. 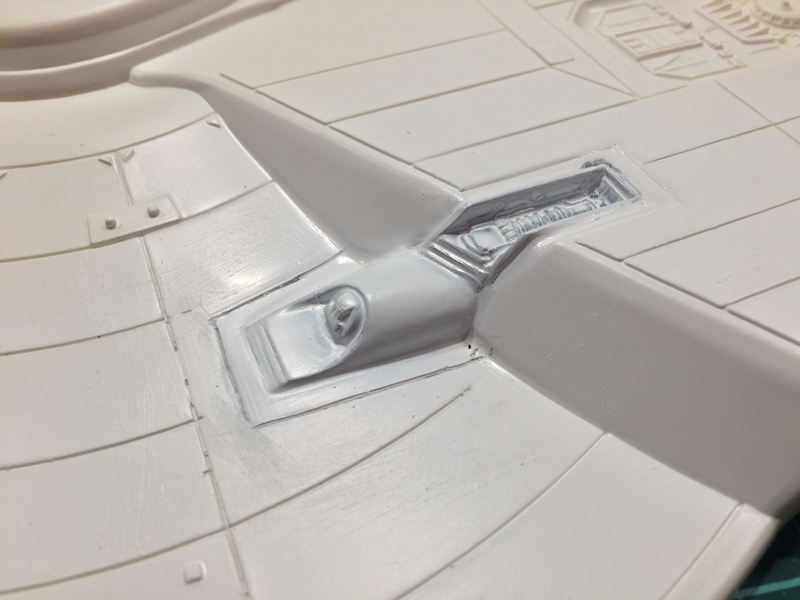 It claims to be able to remove Tamiya TS paint from, among other things, resin without damaging the material. So I’m going to try this on my DLM parts. As well, I’m going to try ordering a roll of 0.5 mm 3M lining tape from the States this week. If it’s not too thick (as in, no thicker than regular masking tape), that might help me mask the grooves on the DLM grilles. So, between that and the Paint Killer, I hope to be able to bring those parts back from the dead. I will, naturally, keep you posted. Nice work on the DSML sensors. The replacement parts make a world of difference. Lookin' great! I need to get two pair of those DSML sensors for the two 1/537 Miranda variants I want to build at some point in the future. Yeah, these aftermarket parts really do make a huge difference, especially on these older AMT kits, since R2 didn’t bother updating them for better detail. @Griffworks, I recommend them, they’re nice parts. Mine came with a couple of small bubble pits on the round edge portions, but it was nothing a toothpick, some putty, and some fine grit sandpaper couldn’t sort. I'm glad that my DSML sensor parts are finding some homes I've got a "Miranda class" specific lower planetary sensor in the works as well. 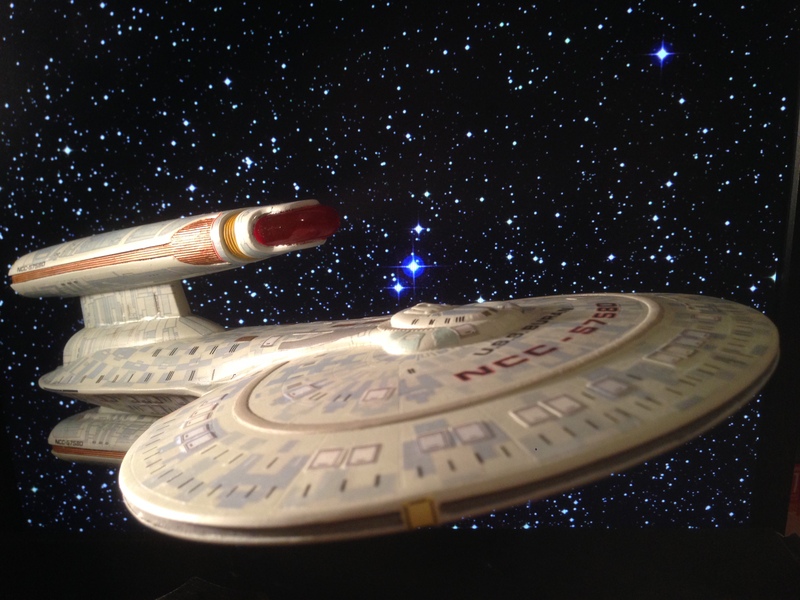 When I finally finish it, I'll send that to Federation Models for casting as well. That will be the last of my long line of 1/537 Miranda replacement parts. Oh, you made the part? I didn’t know! It’s a great piece of work, sir! 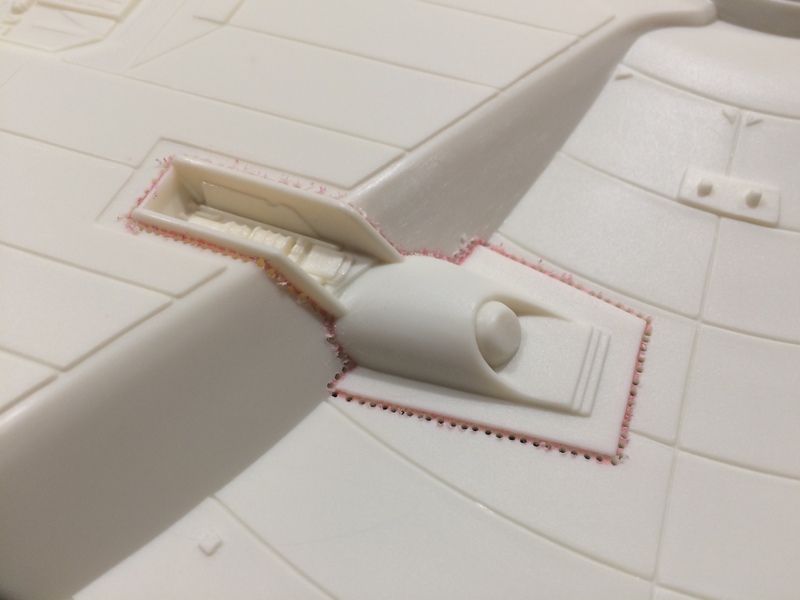 Also, should I wait for the sensor dome to go in production ... ? 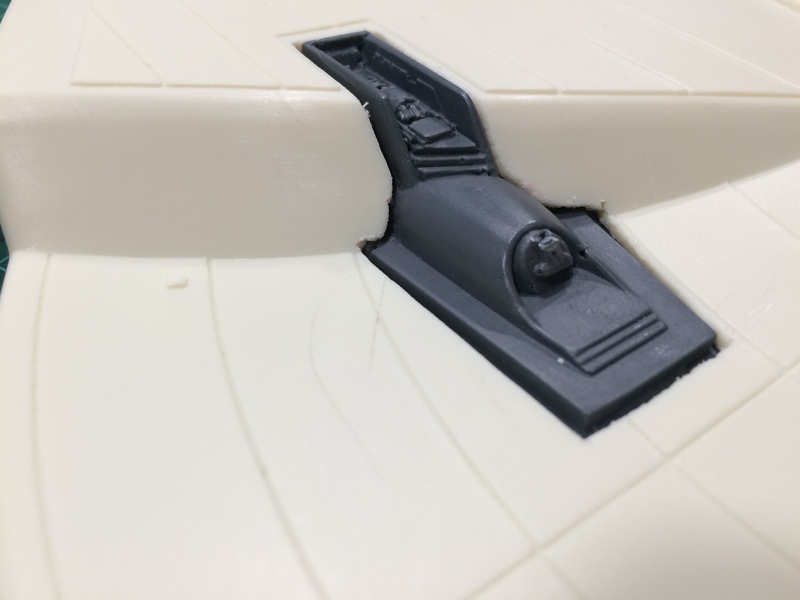 andyh wrote: I'm glad that my DSML sensor parts are finding some homes I've got a "Miranda class" specific lower planetary sensor in the works as well. 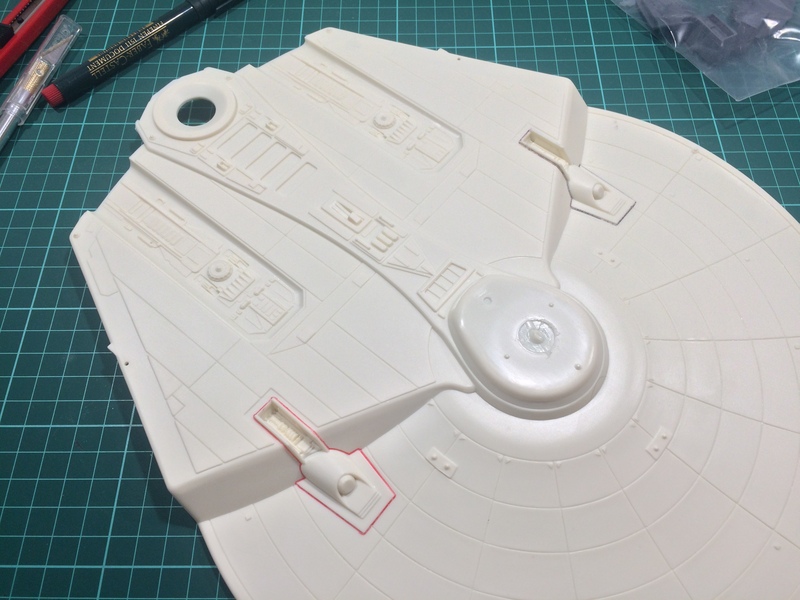 When I finally finish it, I'll send that to Federation Models for casting as well. That will be the last of my long line of 1/537 Miranda replacement parts. Cannot wait! Andy's parts are top notch! Do we have enough after market parts to not need the model yet? MadManMUC wrote: Oh, you made the part? I didn’t know! It’s a great piece of work, sir! 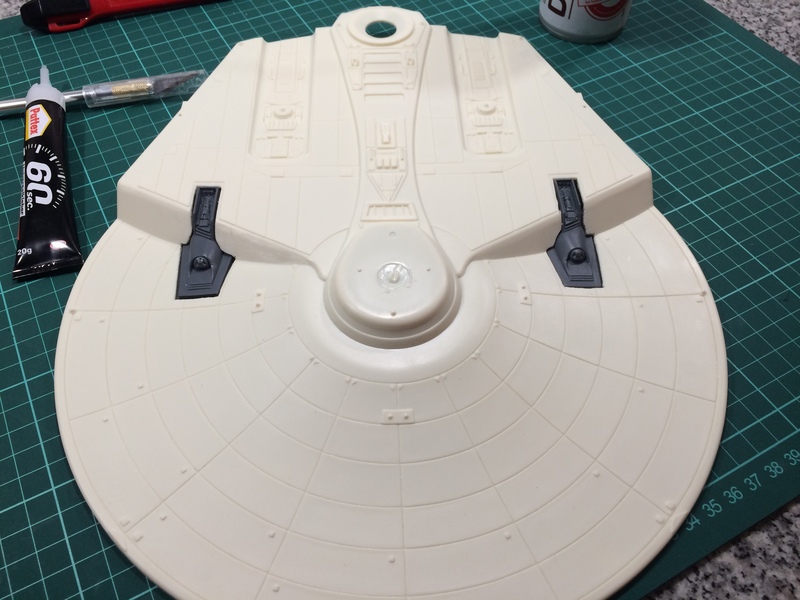 I don't have a time frame for getting these finished, but can send you a test casting before sending the master off to Federation models if you like. I'll PM you my details a bit later.